Committee of Human Rights Reporters: Siavash (Hojatollah) Nakhostin, a former political prisoner and cellmate with Majid Dorri, has been in custody of security forces since Tuesday, October 30, and his family's attempts to find information about his well-being have remained fruitless. According to information received by Committee of Human Rights Reporters, Nakhostin went from Behbahan to Tehran to attend Majid Dorri's brother's wedding, and was among dozens of people arrested during a raid on The House of Literati on October 30 in Tehran, and were transferred to the Intelligence Ministry's Ward 209 inside Evin Prison. Siavash Nakhostin, a political activist close to the Green Movement was first arrested on Student Day 7 December 2010 for distributing CD's and literature in support of Majid Dorri. He was released on bail two months later. The Behbahan Revolutionary Court, under Judge Kouhkenari, sentenced Siavash Nakostin to six months in prison, and he was transferred to Behbahan Prison in November 2011 to serve his sentence. 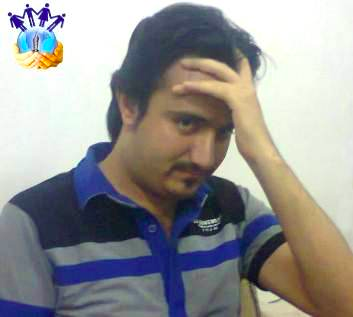 Majid Dorri is an imprisoned university student expelled from Tehran’s Allameh Tabataba’i University, exiled to Behbahan to serve his six-year prison sentence. In an open letter from Behbahan Prison this week, Majid Dorri stated that his family is under "the regime's psychological torture." I support the Iranian government 100%. IRI must understand that this kind of actions will only be more food for their enemy's thoughts. They should free political prisoners, stop executions, tortures and false imprisonments. They must understand that they will harvest what they plant and what goes around comes around! Regime change is the only way to end this 34 year nightmare. Messianic Islamist Rapists, “reformers” and all, are reform-proof, will continue with their crimes including gross violation of human rights to the very last moment that they are overthrown.